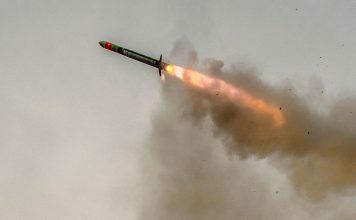 United Launch Alliance (ULA) and Blue Origin LLC, a privately-funded aerospace company owned by Amazon.com founder Jeff Bezos, entered into a public-private partnership with the U.S. Air Force to develop a new rocket propulsion system to power the Vulcan – ULA’s next-generation launch system. The Department of Defense announced today it awarded United Launch Services LLC, a majority owned subsidiary of United Launch Alliance a $46 million for the development of the Vulcan BE-4 and Advanced Cryogenic Evolved Stage (ACES) rocket propulsion system prototypes for the Evolved Expendable Launch Vehicle program. 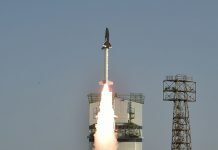 The majority of the current contract funds the BE-4. 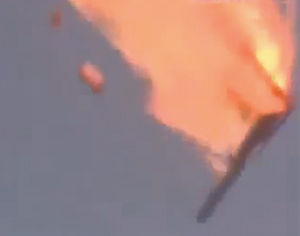 A small fraction (1.7 percent) also covers investment in the ACES rocket, to be used in the upper stage segment. This agreement implements Section 1604 of the fiscal year 2015 National Defense Authorization Act, which requires the development of a next-generation rocket propulsion system that will transition away from the use of the Russian supplied RD-180 engine to a domestic alternative for National Security Space launches. 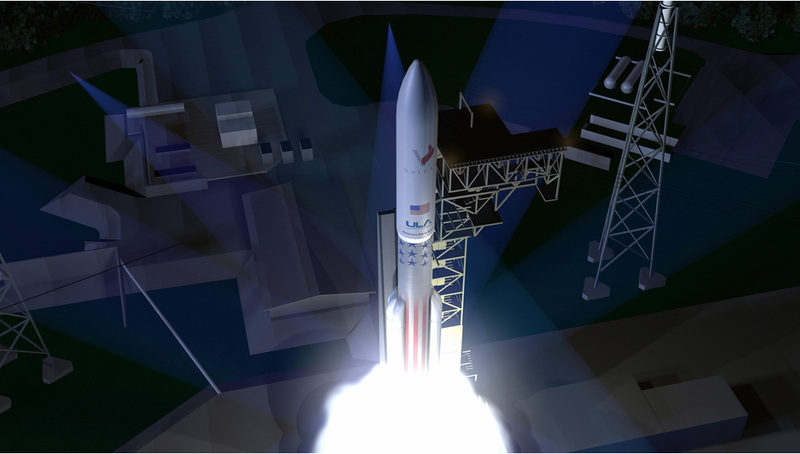 ULA has been investing in the development of the Vulcan rocket for more than a year. Development of the BE-4 engine is fully funded by Blue Origin, with investment by ULA, and offers the fastest path to a domestic alternative to the RD-180. Development is on schedule to achieve qualification for flight in 2017 to support the first Vulcan flight in 2019. “While the RD-180 engine has been a remarkable success with more than 60 successful launches, we believe now is the right time for American investment in a domestic engine,” said Tory Bruno, president and chief executive officer of ULA. This agreement will enhance the company’s progress integrating the BE-4 engine with the Vulcan launch vehicle. The BE-4 uses liquefied natural gas (LNG) as a propellant and liquid oxygen (LOx) as oxidizer, in a rocket engine that delivers 550,000-lbf of thrust at sea level. Two BE-4s would power each ULA Vulcan booster, providing 1,100,000-lbf thrust at liftoff. More than three years into development, the BE-4 will be qualified for flight in 2017, at least two years sooner than any alternatives, Blue Origin claims. The ACES rocket propulsion system provides the thrust for the upper stage engine. 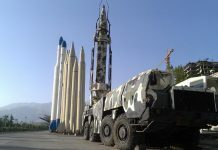 Vulcan will launch from Space Launch Complex 41 at the Cape Canaveral Air Force Station in Florida and Space Launch Complex 3 at Vandenberg Air Force Base in California. ULA is teaming in the development of the BE-4 to enable availability for national security, civil, human and commercial missions. Development of the BE-4 engine has been underway for more than four years and testing of the BE-4 components is ongoing at Blue Origin’s test facilities in West Texas. The ‘Next Generation Launch System’ is evolved in two steps. In step one, with a planned initial launch capability in 2019, Vulcan will exceed the capability of Atlas V, serving the vast majority of our customers’ mission needs. 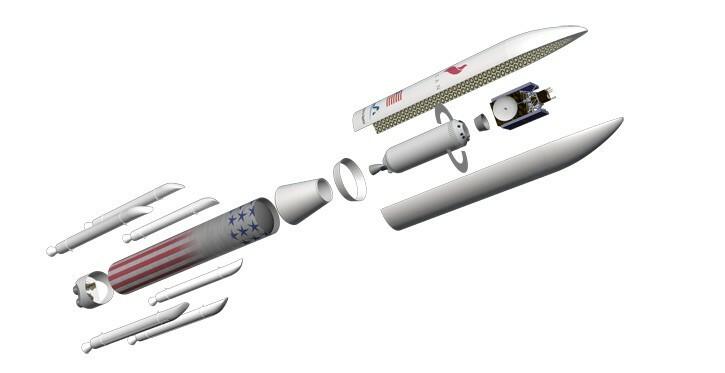 Step one of the NGLS consists of single booster stage, the high-energy Centaur second stage and either a 4-meter or 5-meter-diameter payload fairing. Up to four solid rocket boosters (SRBs) augment the lift off power of the 4-meter configuration, while up to six SRBs can be added to the 5-meter. In step two, the Centaur second stage will be replaced by the more powerful ACES in 2023. With the addition of ACES, Vulcan will achieve the current capability of the Delta IV Heavy, which carries the largest payloads for our most critical customers. The Air Force also awarded a separate $115 million development contract to an Aerojet Rocketdyne-ULA team for the development of the AR1 rocket propulsion system prototype for the Evolved Expendable Launch Vehicle (EELV) program. The AR1 engine is a booster stage engine intended for the Vulcan. “ULA continues to work with both Blue Origin and Aerojet Rocketdyne to pursue two options for a next-generation American engine and that is why we’re teaming with two of the world’s leading propulsion companies,” said Bruno.